The majority of genetically modified (GM) crops are now cultivated in the developing world. In 2014, around 53% of the 182m hectares (nearly two million square kilometres) of GM crops were grown in these countries. In reality, though, the “developing world” is a catch-all for many different countries. Brazil and Argentina are way out in front, planting nearly 70m hectares of GM soy, maize and cotton. India has 11.6m hectares of GM cotton alone. China has a broader spread but much smaller quantities, while in sub-Saharan Africa, there are 2.7m hectares of GM soy, maize and cotton in South Africa, and 0.5m hectares of cotton in Burkina Faso. Bangladesh is the latest addition to the so-called GM nations. By far the most common GM crops are those that can tolerate herbicides. They suit the large “mono-cropped” farming systems found in the US, Argentina and Brazil. Among small holdings, notably in India, China and South Africa, the biggest GM crop is Bt cotton, which incorporates a toxin that kills pests. It has been at the center of the debate about the extent to which GM can help the poor. Poorer countries might also benefit from crops being developed to resist drought, heat, frost and salty soil – drought-tolerant maize is seen as a promising answer to “climate-smart” farming in Africa, for instance. Also promising are crops with enhanced nutritional value, such as vitamin A-enriched golden rice. These remain in development, though. One big problem with GM in the developing world is that successes claimed for certain crops already in farmers’ fields have become conflated with expectations around other different technologies not yet ready for release. This has happened with Bt cotton and golden rice, for instance, and has helped to create the false impression that golden rice is ready for market. Bt cotton’s own benefits to the poor meanwhile look shaky on closer examination. In the most detailed study to date on small holder farms in India, China and South Africa in 2009, Dominic Glover of the Institute of Development Studies found that much of its performance depends on the locally adapted cotton varieties with which it needs to be crossed. Good yield also needs favourable soils and irrigation – “the very things the poorest farmers typically lack”, according to Glover. This all requires appropriate investments in infrastructure and institutions. He concluded that while some farmers have benefited, “others, especially smaller and poorer farmers have not”. Success depended on much more than “new genes inserted into a crop plant”. 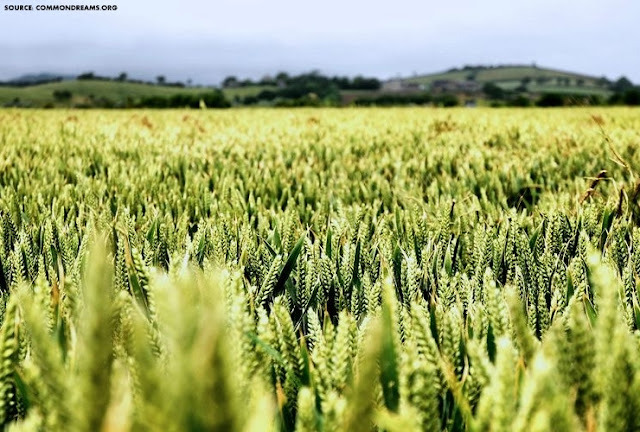 Nevertheless a roll call of high-profile champions based in richer countries continue to push the idea that GM crop technology is inherently pro-poor, held back only by over-burdensome regulation and irrational opposition. Their opponents argue fiercely to the contrary. Opposition to GM crops in developing countries is often misunderstood in this hostile climate. Contrary to popular belief, local resistance is not coordinated “by Greenpeace” but grounded in local realities. Probably the best known was Zambia’s 2002 rejection of GM food aid during a food crisis. Where global GM debates revolve around health and environmental risk, Zambia’s decision was primarily about maintaining control over agriculture. In truth, debates about whether GM crops or any single technology are “good for the poor” or can “feed the world” are becoming tired. They tend to discuss GM technologies as if they can be isolated from the wider socioeconomic and political context. In Mexico, for example, small holder farmers’ opposition to GM maize has been shaped by the North American Free Trade Agreement (NAFTA) and policies favouring market liberalisation, and reductions in state assistance. Similarly in India, Bt cotton uptake has occurred against a backdrop of market liberalisation. Farmers have had to cope with fluctuating prices and the challenges of accessing credit as state subsidies have been removed. Crucially, this has all coincided with changes to agrarian social structures that have have meant that unlike in the past, these new risks have fallen on individual households rather than communities. All this is lost on a globalised GM crop debate in which both sides have used the tragedy of farmer suicides to “land a few blows”. For much of sub-Saharan Africa, the context is the G7 New Alliance for Food Security and Nutrition in Africa (known as the “New Alliance”). This cooperation framework was launched by USAID and aims to “accelerate responsible investment in African agriculture and lift 50m people out of poverty by 2022”. This is supposed to help smallholders in particular, but in reality it looks to be about facilitating the regulatory wishes of agribusiness. The Mozambique country agreement, for example, commits to “systematically ceasing to distribute free and unimproved [non-commercial] seeds to farmers except in emergencies”. While not technology specific, this clearly advantages producers of commercially produced GM or hybrid seeds over local varieties. Rather than endlessly debate the pros and cons of GM in isolation, we need to turn our attention to these framework agreements. If GM crops are to be extended in developing countries in ways that benefit the poor, paying close attention to international development and investment frameworks currently under formation is just as important as understanding the relative merits of technologies themselves. Dr. Sally Brooks is a development social scientist with 20 years experience in international development as a researcher, teacher and practitioner. Currently she is a "Lecturer in International Development" at University of York.